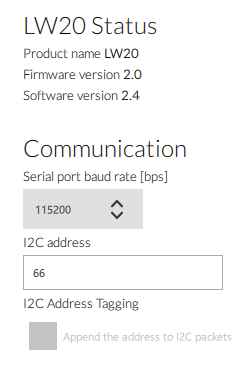 ChibiOS firmware seems to have the same behaviors. LGTM! @tridge per our discussion earlier today… Spektrum input from the Solo’s RC is going haywire after the new IO DSM changes. T-Logs attached. Opened https://github.com/ArduPilot/ardupilot/issues/9763. Really good news. ChibiOS porting is more easy. @edge540T there is no specific testing formula, what we need users to do is to test on their vehicle, and look for anything that is behaving badly that doesn’t behave badly with the HAL_PX4 based releases. The thing that you would bring to the testing is a different setup - everyone has slightly different vehicles, and so we get much broader test coverage if more people test it. Do you have the same issue on Chibios ? what flight board are you using? Can you please upload a full parameter file as well. In particular the SERIAL settings are critical. Could someone assist on what can I do to somehow diagnose it? Most of the ChibiOS/RT demos link a set of software modules (test suite) in order to verify the proper working of the kernel, the port and the demo itself. Kernel . The kernel code is subject to rigorous testing. The test suite aims to test all the kernel code and reach a code coverage as close to 100% as possible. In addition to the code coverage, the kernel code is tested for functionality and benchmarked for speed and size before each stable release. In addition to the code coverage and functional testing a batch compilation test is performed before each release, the kernel is compiled by alternatively enabling and disabling all the various configuration options, the kernel code is expected to compile without errors nor warnings and execute the test suite without failures (a specific simulator is used for this execution test, it is done automatically by a script because the entire sequence can take hours). All the tests results are included as reports in the OS distribution under ./docs/reports . Ports . The port code is tested by executing the kernel test suite on the target hardware. A port is validated only if it passes all the tests. Speed and size benchmarks for all the supported architectures are performed, both size and speed regressions are monitored . HAL . The HAL high level code and device drivers implementations are tested through specific test applications under ./testhal . Various . The miscellaneous code is tested by use in the various demos. External Code . Not tested, external libraries or components are used as-is or with minor patching where required, problems are usually reported upstream. The kernel test suite is divided in modules or test sequences. Each Test Module performs a series of tests on a specified kernel subsystem or subsystems and can report a failure/success status and/or a performance index as the test suite output. The test suite is usually activated in the demo applications by pressing a button on the target board, see the readme file into the various demos directories. The test suite output is usually sent through a serial port and can be examined by using a terminal emulator program. This post should be closed as Nuttx has been removed a while ago. My VRBrain is OK with Nuttx. I had a run with latest ChibiOS on it and boot loader was so corrupted during mandatory settings like calibrations that I had to reflash it three times without more success. Ice on the cake: M8N GPS settings where also corrupted and USB connection was impossible. Have you reported this issue before ? 6 commits changed 14 files with 730 additions and 14 deletions. I faced the same today and have no idea how to solve. Everything was working perfectly with Copter 3.6.5 with NuttX, but not working on Copter 3.6.6 with ChibiOS. Can you be more specific? What is “this”? Sorry that I didn’t share much details in the query. LW20-C is tested in ArduCopter 3.6.5 with NuttX. I upgaded the firmware to 3.6.6 along with ChibiOs, PFD was displaying “Bad Lidar Health”. Later I changed to AC3.6.6 with NuttX, and Sonar range was showing correct with the same parameter. LW20 is connected to Telem1 (Serial1) of the Pixhawk2.1 with cube. It’s working well with 3.9.6 thanks Tridge !